Discussion in 'Education' started by daniellondon, Aug 18, 2018. Since a lot of EDM / TRAP music has very fast paced high hats; i was wondering what would be the best way to quickly switch between doffetern quantizations or patterns when programming a high hat? So for example, if I load a high hat sample; what sampler or method could I use to, for example, programme the c3 key to trigger 1/8 quantization, d2 key to trigger syncopated high hats; all the while keeping the high hat pressed. Sometimes I want to experiment with different quantizations and samples without have to manually reprogrammed everything using midi. Or maybe there's better methods of experiment with different patterns? I have built-in MIDI roll function (note-retrigger) in my KorgPadKontrol (X/Y pad). So for me it's easy to "play" the fast hihat rolls. I just might have to quantize them and remove doubles in the pianoroll. If not, you can always create 8ths, dotted 8ths, 16ths, 32nds etc in chunks of MIDI (on a separate "silent" track) and then just cut/copy/paste wherever you want them. 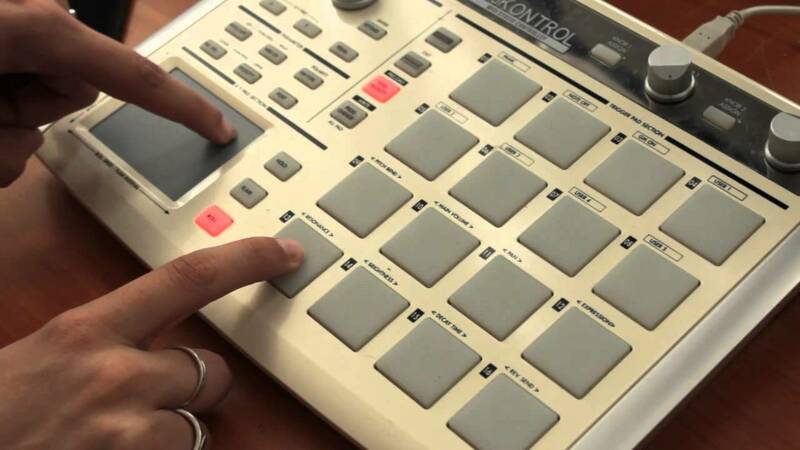 Yeah I also can do that either from my MPC or my MPK2 directly (most Akai stuffs do). In soft you can go the Geist way ( a sequencer) you have a repeat function that you can activate deactivate through midi control for example (or just your mouse) and same with the resolution of the repeat you can assign the changing of the grid to a controller. I'm guessing you can do that on the Machine soft too, I'm sure you can do it on the MPC software also...More fun with a midi controller to change things though.